(My) two years in the School of Chemistry have been a great and memorable experience. After the completion of my BSc degree (Applied Chemistry) in China, I came to Australia in 2013 for an MSc in Chemistry at The University of Melbourne. My research was in the area of organic chemistry, because I really enjoy making new molecules. The transition into a totally different culture has been very challenging, but with the help of my fellow students and friends from my research group I assimilated within a very short time. The two years in the School of Chemistry have been a great and memorable experience. 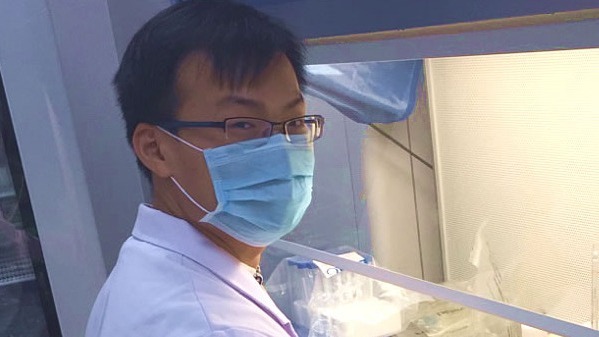 After completing my Masters degree in 2015, I moved back to China and started as a technician in the China-US (Henan) Hormel Cancer Institute. This is a young cancer institute, which was founded by the Chinese government in collaboration with the Hormel Institute in America. I am very happy that I can join the fight to combat cancer. Currently, I am part of an international research group studying oesophagus cancer, where I am working on the development of drugs, which could influence epigenetic regulation of cancer cells. Since my work also includes aspects of biochemistry and medicinal chemistry, I am constantly learning new science and experimental techniques. The experience gained from my MSc in the School of Chemistry, in particular scientific communication skills, creativity, research ethics and problem solving skills, are helping me to develop and to grow in my position as a cancer researcher.